This family owned and operated excavation business since 1974 is equipped to provide free estimates for many of your excavation needs. Providing complete site work for preparation of new home construction or modular homes as well as demolition of existing structures. R.A. Dunlap and Son are also available to provide general contracting services to assure your project proceeds smoothly. With many years of experience come references of contractors who have provided us with quality product and service; from tree clearing, electrical, plumbing, paving, to pouring your foundation. Should drilling, blasting or removal of large rock or ledge be necessary, we can provide that service as well. We will work with the contractors for you, saving you time, and assuring they work with us to get your job done. 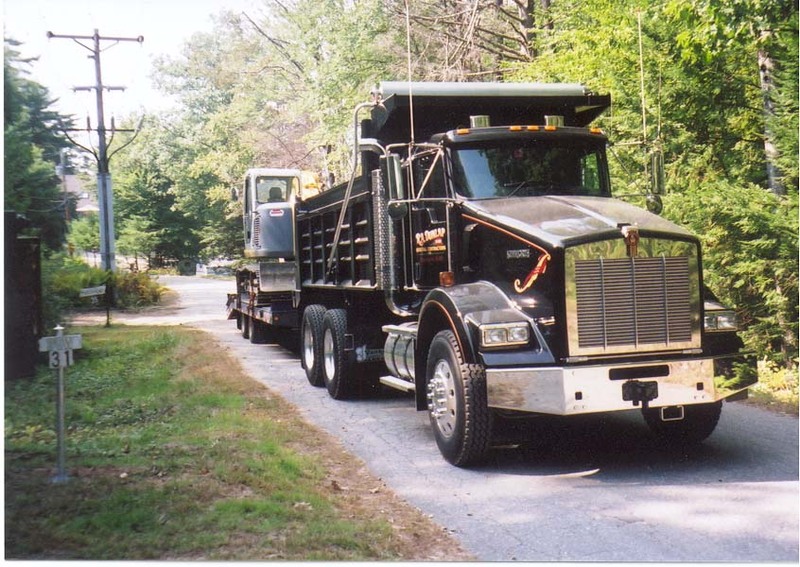 Providing excavation of all kinds, from small ponds, stump removal, driveway and unpaved road repair, to excavation for footings and foundations for homes and garages. 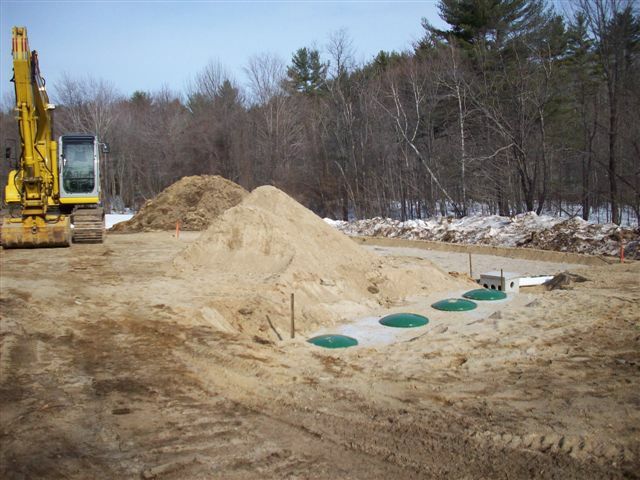 A licensed septic installer trained and certified to install both conventional and multi-level enviro septic systems. Let us improve the value of your existing home with landscaping, re-grading and preparing yards for lawns or adding a small pond to your property. 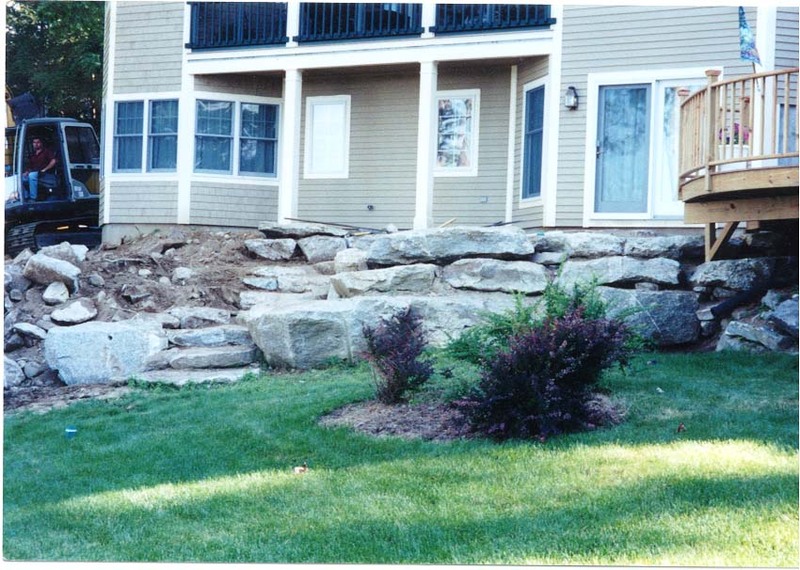 Construction of stone walls and stone retaining walls also provided. Winter snow removal for driveways and our snow-bucket loader available for removal of large amounts of snow when necessary. When thinking about your project, please think of R.A. Dunlap & Son, Inc. and call us for an appointment and free estimate. Dependable service is our most important product and we look forward to providing it for your needs.